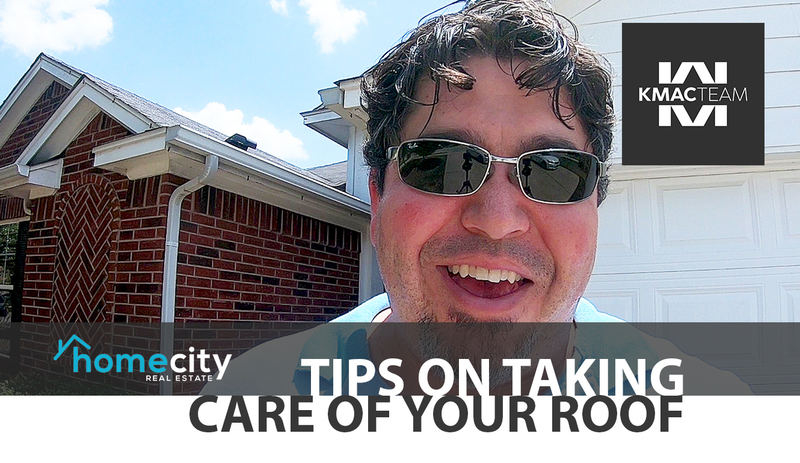 Today I am talking about the importance of inspecting your roof. Today I am on-site at a home that we are getting ready to list that will have a new roof in a couple weeks. One of the key components of a house is the roof and when you are selling, you need to make sure that it is sound. A lot of times you are unable to tell because a roof will look fine even if it has some damage. With the home that I am at now, I could see shiny edges on the shingles, which indicates granular loss. Missing shingles also indicates some damage. Every house across the street, meanwhile, has a brand new roof, which tells me that a hailstorm or a something similar recently took out a lot of the roofs. Insurance is covering this home so that the homeowner is getting a brand-new roof. However, you're not always so lucky. My advice for you is to get your roof checked at least once every two years. This is because you might not have been present when a hailstorm happened and therefore might not notice. Most insurance policies will cover a new roof for you if there has been a hail event in the last two years. Check your roof every two years to make sure you are covered and that there hasn't been an event that you missed. You can have a roofer take a look. If you need a recommendation, I would be happy to provide you with one. Prevention is key. There is nothing worse than putting your home on the market only to have an inspector find hail damage and then have you try to figure out if you can get it fixed ahead of time. If you have any questions about this or are interested in buying or selling, please feel free to reach out to me. I look forward to speaking with you soon.